Aprilia Performance are a small company who also happen to be one of the most well known and respected Aprilia specialists in the country. 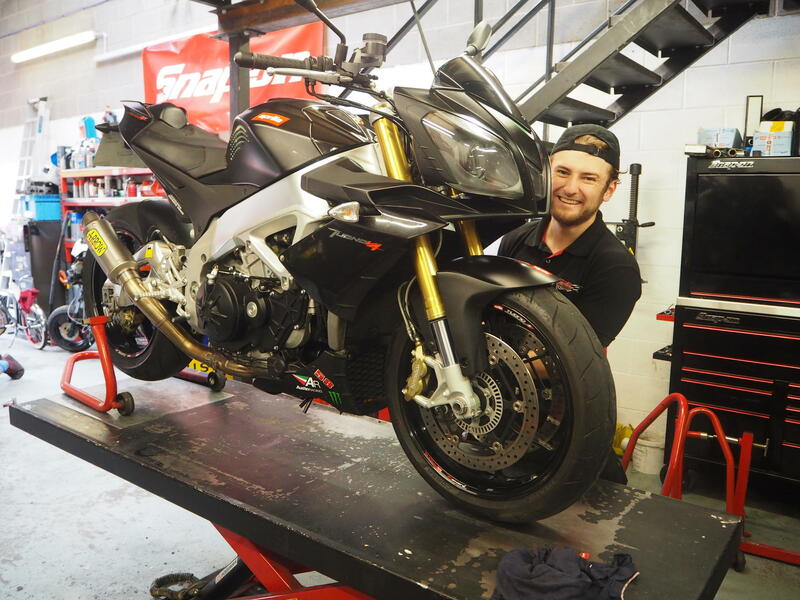 We specialise in the servicing, development, tuning and race preparation of the Aprilia big bike range, from RSV's to Tuonos, RSV4s and Falcos. We have over decades of experience in dealing with these machines and have custom developed many products and solutions to help maximise the enjoyment these fantastic v-twins and V4 bikes have to offer. In addition to the big bikes, we often get stuck into the classic 2 stroke Aprilia machines, such as the Aprilia RS 125 and the Aprilia RS250, as well as the smaller scooters & enduro machines. Our friendly staff will always make you feel welcome (doubly so if you bring the Jaffa cakes, and we pride ourselves on doing the job in the best timeframe, properly and seeing it through to the end, professionally and courteously!